...As I Remember It...: Video Podcast Episode 4: Who Influenced You? Video Podcast Episode 4: Who Influenced You? In my pursuit of living my biggest dream of writing full time, I want to pay homage to the teachers and books that have influenced me and fostered my love of reading and writing. Children that attended Hau'ula Elementary in the 80's will certainly recognize the two teachers that I mention. Mr. Ho, who retired a couple of years ago, was my third grade teacher. My parents kept all my report cards from grade school and I laugh when I read them. Mr. Ho would say things like, "She's smart but has a bad attitude." "She wants to be the teacher." I can't help it. I have this natural curiosity, even back then, and was and still am verrrrry impatient. I am not proud of my behavior but there would be times when my impatience made me look like a know-it-all. Mr. Ho would ask a student to read out loud. It drove me crazy that he would NEVER pick me to read out loud. So when the chosen student would read out loud, and he or she would stumble over words, I would blurt out the sentence that they were having a difficult time reading. I can see now why Mr. Ho NEVER chose me. I was not the one that needed help. I was so eager to read through the sentences that were so simple for me not realizing that I was probably intimidating the student that was actually reading. Sorry. Mr. Ho also had story time where the entire class would sit down on the floor. He would be seated on a chair, front and center. He would tell us ghost stories. The Man With the Golden Arm was a favorite. I knew how the story would end but the way he told it was always so surprising. It is a cherished memory from Mr. Ho's classroom. In the 4th Grade, I had Ms. Elly Tepper. There are only a few teachers throughout my years that had the ability to make EVERY student feel special. She is one of them. Not only did she inspire my love for reading and writing but she really pushed me to love my culture. I don't believe she is a Pacific Islander but the way she embraced our music, dancing, and cultural practices made me love it more. 4th Grade at Hau'ula Elementary back in the 80's was the designated grade for learning Hawaiian History. The whole year was spent learning cultural practices of my Hawaiian ancestors and it culminated in a week-long, end-of-year trip to Hawai'i Island (where the volcano is). While there we visited ancient heiau (temples) and visit important historical places that we learned about throughout the year. We visited Pele (the fire goddess) at Kilauea. Ancient fish ponds. Summer palaces of the royalty before the kingdom was overthrown by greedy Americans. We danced hula in hotel lobbies and at schools. It was really a beautiful experience and I wish I had my journals from that time but those were lost in a flood. When Ms. Tepper needed to calm the class down and get us to focus, or we were getting for a test, or we were about to meet an important guest in the classroom, or we were getting ready for a performance, or we were about to get off the bus on a field trip, she gave the most inspiring speeches. The emotion that she was able to pull from each and every student with her speeches will always stay with me. Even if your home life was horrible, when you entered Ms. Tepper's room you knew that she only saw us as little kings and queens. I cannot remember the words that she said but I certainly remember the feelings that she was able to evoke from me. She would walk around the room, between our desks, the heat of the day invading the classroom, and would remind us of our nobility. She was a big fan of the Hawaiian word, ha'aheo. It means proud, like how the mountains stand tall and proud. And she would use that word to remind us how to be. She would tell us to be dignified, proud, and remember always who we represent with our actions. I am a crybaby and there were times that my eyes were filled with tears from her pep talk. I don't ever remember being scolded. She was always firm and direct, not condescending at all. She is a bright light in the world of education in Hawai'i. 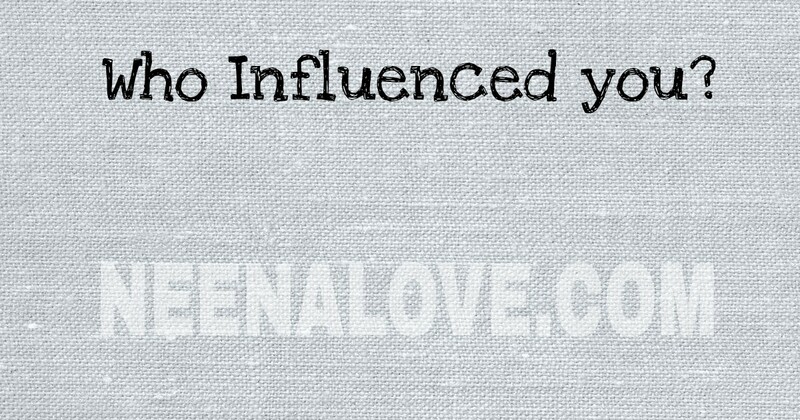 I hope that you sit back and contemplate the major influencers in what you are doing today. Maybe reach out to them and let them know the impact they made on your life. I looked up both Mr. Ho and Ms. Tepper and they are not on Social Media. But I am determined to find a way to reach out to them to let them know their impact on me. If you know them, send them a link to this blog post.